Makeup Revolution have gone from strength to strength since launching at the beginning of the year with numerous new releases that are keeping every keen beauty lover talking. Not only are their products super affordable but they have the quality of a product worth much much more. Recently they launched their exclusive Christmas gift sets into Superdrug, with seven to choose from there's something for everyone. Not only are they marked down at the moment but each set is so affordable they would make great stocking fillers or a present alone, depending on your budget. Pout & Gloss Collection - Pout away this Christmas with this gorgeous set that includes 3 lip crayons, 1 lip gloss and a mirror. Make sure those lips are kept in check for the festivities. 144 Eyeshadow Collection - From Smokey eyed to a natural glow every eyeshadow you could dream of owning and more. Pro Makeup Collection - Every product you'd ever need to look amazing this Christmas. Bronze, Contour & Highlight Collection - A great selection for an healthy glow. A contouring palette, a bronzer and some exclusive makeup brushes. 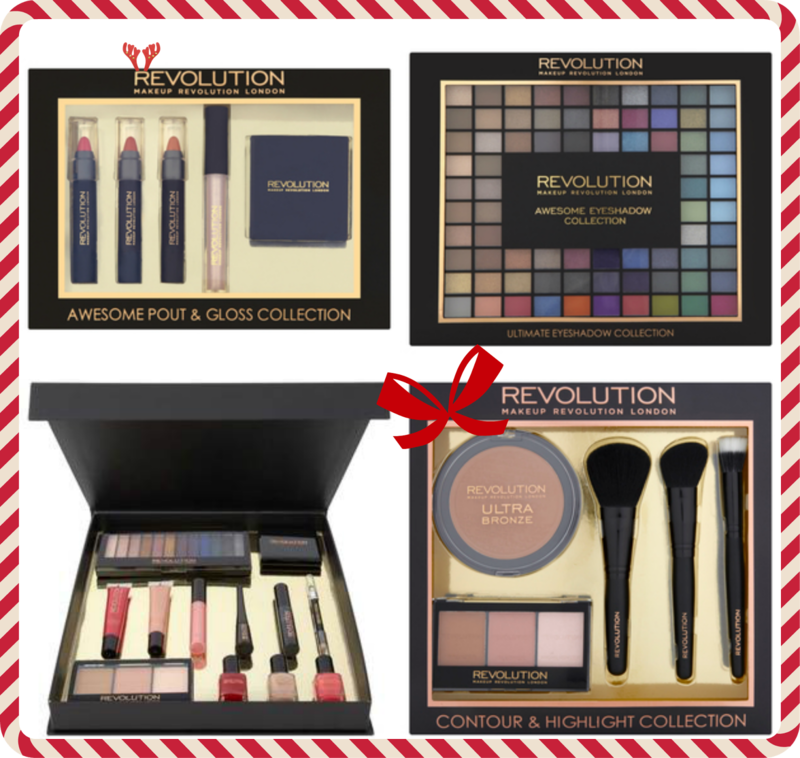 There's a great selection of different products that will make any beauty lovers stocking filler amazing from both Makeup Revolution and I Heart Makeup. A great idea is to make your own beauty box using the person you shall gift it to favourite brand. Pick up a festive box and fill it with their favourite products, or products you'd think they'd like. For a personal Christmas touch add a bauble (with name or image) or sweet treat. I've done this on a few occasions and it's gone down a treat. Superdrug have Makeup Revolution gift sets with up to 50% off. This is subject to change at anytime so be quick and grab a bargain whilst you can. Free delivery on all orders over £10.00 (UK only I believe but check delivery info on Superdrug online).